Hey y'all! Sorry for not posting lately- I've been super busy with shoolwork. My grades are not exactly what I would like to be seeing, and with it being fourth quarter and all, I really need to step up my game! Anywho, my mom and I were shopping on Saturday (more on that soon...!!!) and I just happened to spot the cutest little sneaks. I'm dying to purchase them and I just might considering how cute and inexpensive they are... bonjour, 40 dollars! 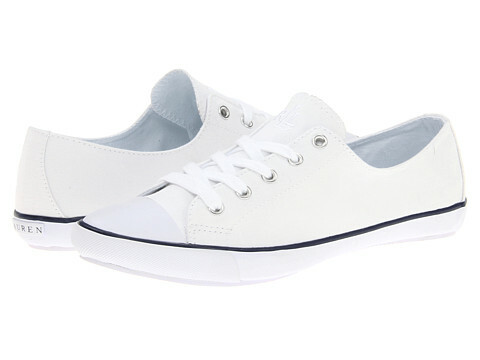 What do you think of white sneaks? Would you choose them over other colors? Help! I've been DYING for a pair of white sneakers and the price tag on these is just perfection! I say go for the white - they go with absolutely everything. I like the white ones but I'm still too cheap, inexpensive for me is like $5...I got a similar pair of white sneakers for like $12. Those are adorable! I absolutely love them!